For anyone who has sat through the drawn-out spectacle of a musical that just seemed to miss the mark completely, Alexander S. Bermange sympathises with you. From the opening number which promises so much, through to the second half that might feel as though it is dragging on just a bit too long, the audience’s plight is fully acknowledged in this spirited production. What’s also apparent is that this is a decidedly un-rosy experience for the performers too. For all the contrived joviality and tightly directed cohesion on stage, the polar opposite is going on behind the scenes. 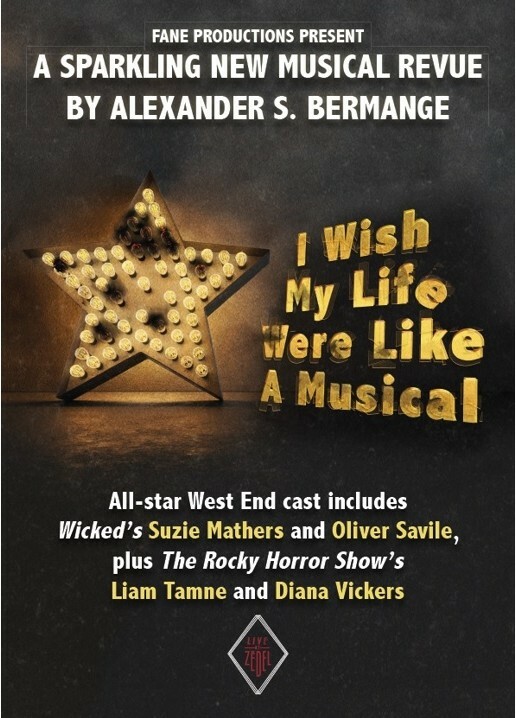 I Wish My Life Were Like A Musical is a satirical exposé of the life of a musical theatre performer, which poking fun at all those involved in a musical (the audience included) while the performers themselves also come to terms with why they endure such an ordeal. The life of a musical theatre star is not an easy one. 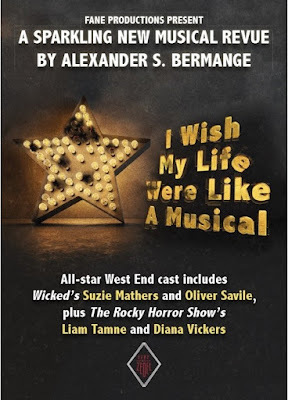 Auditioning is a gruelling and thankless task (beautifully communicated by Diana Vickers in her finest moment of the show), but even after getting a part, you could be resigned to waiting in the wings as an understudy to the star who will never willingly relinquish a show. Or you could be forced to contend with an unbearable star, as exquisitely portrayed by Suzie Mathers in The Diva Is Here. You may even end up with a stalker, before eventually becoming a teacher. The stories are all grounded in reality but layered with a healthy dose of comedy. The cast of five - which includes Bermange on the piano, acting as narrator and an ensemble actor who longs to be recognised in his own right - is well assembled, with Oliver Savile and Liam Tamne rounding out the group. Strong vocals and on-stage chemistry means they are a delight to watch. Mathers and Savile are outstanding in their own rights, but even better together and no doubt this comes as a result of being reunited in their third production together. Throughout however, it is apparent that rehearsal time was lacking; while the songs are broadly on point, the dialogue between numbers is rushed and often delivered off cue cards. This is a shame, since the material is sharp, creative and fiery and appropriately mirroring the energy levels that exist across a performer’s career, which gradually peters out. Hopefully with time, the delivery will do the piece justice. Until then it remains a highly enjoyable evening and one which will no doubt give the audience a new perspective on the next musical they see.